SASHA KRAMER, an ecologist, was having success promoting greater sanitation in Haiti when she lost access to her nonprofit’s only composting site in Port-au-Prince: a dump that was being mismanaged. Her group, SOIL, provides toilets to poor households. Each week it sent representatives to empty the five-gallon buckets, bring the waste to the dump and turn it into compost, which was sold to farmers as fertilizer. Nearly nine years into the work, though, the local dump fell into chaos when the private company managing it lost its contract. The government ceased to keep access roads clear and began burning trash to clear it. Worse, she said she didn’t know where to turn to get money for another site. Crises like these, which keep nonprofits from doing the work donors support, are not uncommon. About one in five projects run into problems that slow or derail goals, according to the Clinton Global Initiative, which released a report in June on its commitments over 10 years, and a separate one by Open Road Alliance, a nonprofit that aids projects that have hit snags. Despite the likelihood of problems, leaders of nonprofit organizations rarely lay out the risks of their projects, lest any hint of failure scare away funders. On the flip side, donors often fail to dig deeply enough to discuss the obstacles a project may encounter. Among donors, 76 percent don’t ask recipients about the risks they face, while 87 percent of nonprofit leaders said grant applications had no questions about risks, according to Open Road Alliance. Spurred by this research, and by its experience with shoring up projects in crisis, Open Road Alliance partnered with the Rockefeller Foundation and Arabella Advisors, a nonprofit consultancy, in convening a group of nonprofit executives to think through risk assessment. The group, which consisted of representatives from two dozen organizations, including the Bill and Melinda Gates Foundation, Goldman Sachs and the law firm Patterson Belknap Webb & Tyler, agreed on 10 areas where donors needed to assess risk more rigorously. The tool kit, as the group calls it, will be released next week for anyone to use. Given the spike in philanthropic giving, the time is ripe to discuss the downsides of giving money away. A study released this week by the Indiana University Lilly Family School of Philanthropy predicted that charitable giving would rise 3.6 percent this year and 3.8 percent next year, based on a strong economy. The biggest increase will come from foundations, which are often financed by wealthy individuals. Foundations will increase their giving by 5.9 percent and 6 percent in the next two years, the report predicted. But with that increase will come the need to apply business fundamentals to grant making and to look at all the potential downsides of a project. FOR the past five years, the Rockefeller Foundation has set aside contingency funding for individual initiatives and broader programs, said Judith Rodin, its president. Her foundation also assesses its grants by low, medium and high risk. The risk management tool kit produced by the Commons covers broader areas like helping donors understand their own risk appetite with their grants, and putting together a risk policy statement similar to ones done for a portfolio of investments. But the kit also has seven items dealing with specific conversations donors ought to have with groups they are supporting. These include talking about contingency funding and planning, putting in place their own risk management strategies and monitoring the progress of the project in order to pre-empt problems. “Part of the reason we focused on donors is they have the money,” said Dr. Michaels, a clinical psychologist who is married to David Bonderman, a founder of the private equity firm TPG. Less than a year ago, Reclaim Detroit, which trains workers to salvage wood from homes slated for demolition and repurpose it, lost its warehouse to a blaze. With no wood, no equipment and no work space, it had also no plan for dealing with such a total loss and was in danger of folding. 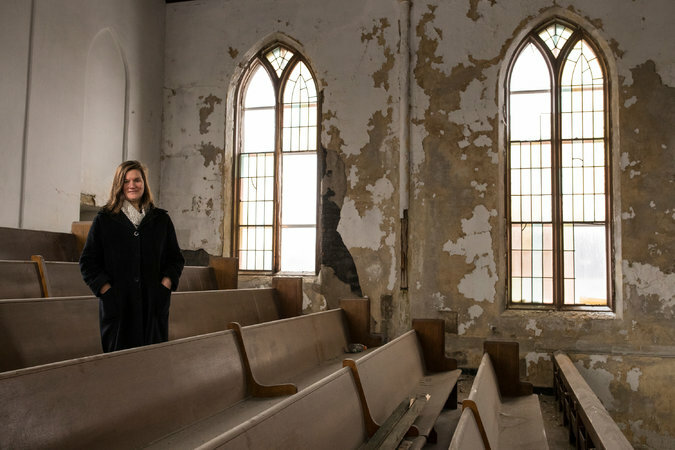 Reclaim Detroit partly supports itself through the sale of objects it makes from the reclaimed wood — something it could not do after the fire. But it also receives grants from companies like the JPMorgan Chase Foundation, the PNC Bank Foundation and others that are directed at its job training program and operational expenses. What it didn’t have, though, was money to rebuild after the fire. Susan Dundon, business innovation director at EcoWorks, the nonprofit parent of Reclaim Detroit, said the group tried to raise money from the community, but then one of its program funders, REDF, directed it to Open Road Alliance, which gave $100,000 as bridge funding so the nonprofit could get running again. Not everyone in the philanthropic community thinks such contingency funding is a good idea. Amir Pasic, dean of the Lilly Family School of Philanthropy, said nonprofits having to ask funders for money after a crisis can create an additional level of bureaucracy when funds are really needed. Dr. Pasic, who was not involved with the Commons, said he saw a place for such backstop funding with smaller organizations. But in general, he said, he supported the group’s conclusion that larger nonprofits and funders should plan for problems. IN the case of SOIL, which has an annual budget of $1.3 million, Dr. Kramer said she went back to one of its longest-standing funders, the 11th Hour Project, which is backed by Wendy Schmidt, whose wealth comes from Google. Dr. Kramer said she was told the foundation had already made its grants for the year, and she was pointed toward Open Road Alliance, which issued a $100,000 grant for a new composting site. Despite losing its dump, SOIL was lucky. Open Road Alliance gave $3 million last year, mostly in the form of small grants. But it operates by word of mouth and referral; it hopes that with the tool kit, more nonprofits will be able to talk to their donors about crises. Reproduced from the New York Times.